2018 is coming to an end… and boy what a year it has been! We wanted to write this blog post to reflect over these past 12 months, as well as inform you a little about what’s happening in 2019. 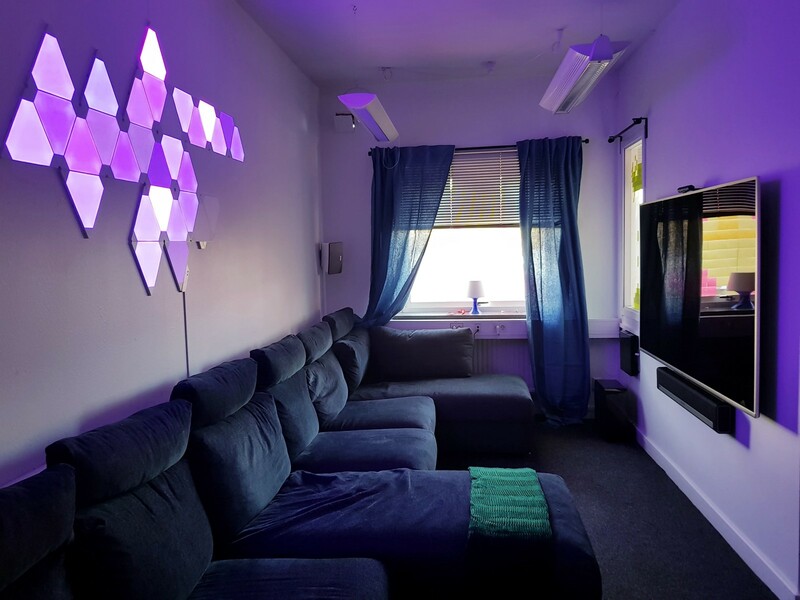 If you didn’t know, IGDB started out renting a room in the Gothenburg Gaming Incubator. Even though it was only us in the room (which was very small! ), we shared the rest of the space with other companies. At the beginning of August, we took our things and moved up 2 floors, to Zoink’s old office. Now we finally have space where we can grow! With a nice gaming room, our own kitchen and bathroom, we’re very happy with our new home. 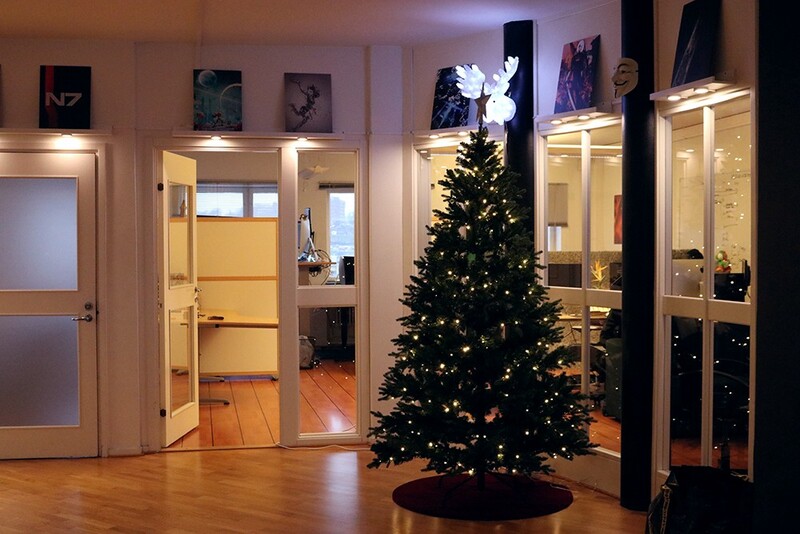 A little bit of Christmas feeling at the office! On May 18th, at exactly 14:07:07 pm, we hit a magical number: 100.000 unique games in the database! It’s a goal that we’ve been longing to reach and we’re not only happy but also incredibly thankful for our community! Since then we’ve grown even more and now we have almost 190.000 unique titles! In November this year, we also reached 40.000 registered users, and we’re traveling towards 50.000 as we speak! In Q1, we released an iOS version of our app IGDB Pocket. Here you can find, explore and rate every game that you’re interested in. You can get notified of new releases, create and sort through lists and be updated on gaming news, no matter where you are in the world. Best of all? It’s free from ads! 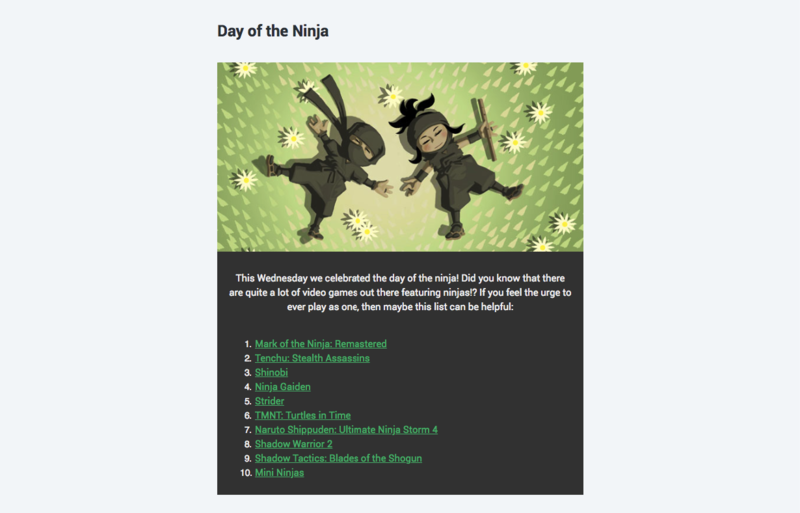 If you didn’t know, IGDB now has a weekly newsletter. We’re already on issue 10! It’s packed with info and media about video games, the company, news and other kinds of interesting/fun gaming stuff that you might like! If you’re interested in joining us, you can do so HERE. 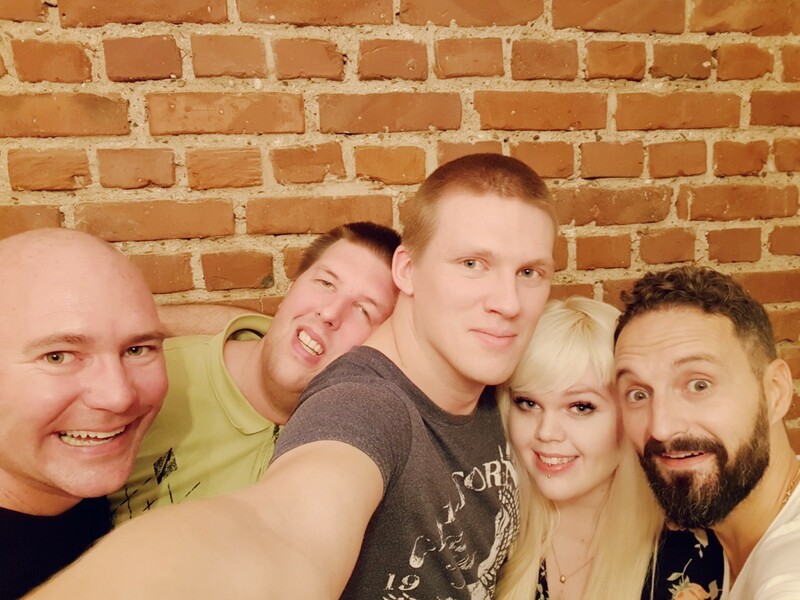 Except for Germany, our CEO did travel to GDC, as well as Japan where he got some nice, new connections! Our marketing lady Maddie, also got a chance to go to Japan for fun stuff that will come out at the beginning of 2019. 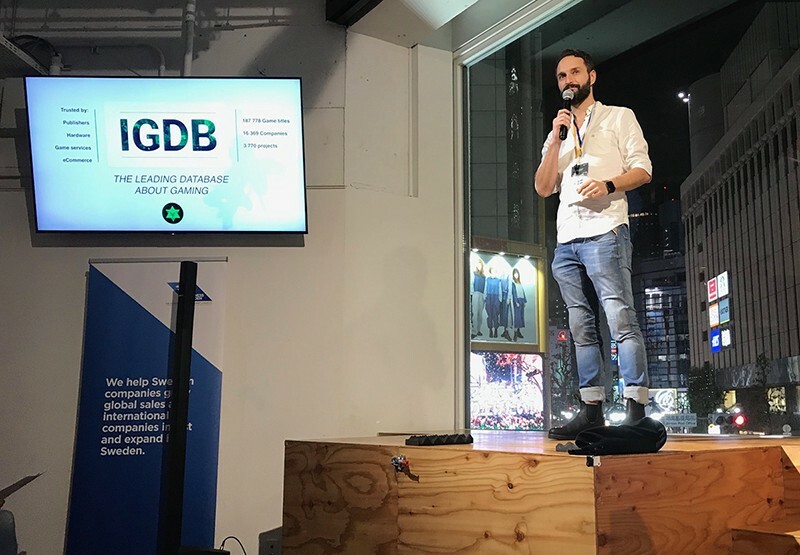 Our CEO speaking in Tokyo! This year we expanded and opened up an American division based in Columbus, Ohio. 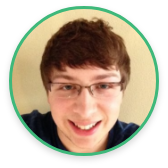 The front of the U.S Initiative is our new co-worker and Director of Business Development, Tyler! With him on the team, we can take IGDB to the next step which we are looking forward to. We all share the drive and the passion for gaming, which is beyond awesome! Recently, Valuer+ also wrote about us in their article ‘7 Awesome Nordic Tech Startups To Watch’. Thanks for the love! From Wordpress to Medium: 2018 was the year where we truly started to focus on our blog with interviews, articles and other interesting posts. That’s the reason why we decided to move here to Medium! IGDB Baby: Not long ago our frontend developer Jake became a dad to his first little baby girl! She is the official IGDB baby and will be a part of this family for as long as she wants! Welcome, little one! After extensive feedback from our community, as well as a survey that we did via the site and social media, we’ve decided that it was time to give IGDB a facelift. We’re right now in the middle of tackling this beast with the goals to display information in a better way, make the site easier to navigate and give the brand that smell of modern freshness. Since it’s a big product, we will release the new site in smaller parts, with phase 1 around the corner. In 2019 we will continue to focus on the design and make sure that every part of IGDB gets the same treatment! With the new redesign you can, of course, expect some exciting changes to our social media too! Stay tuned for the new goodness! To everyone in our community, our Keepers and all of our supporters! Tag along for the coming year as we have an exciting journey ahead. We hope that you’re all looking forward to 2019 as much as we do! :) Until next time, stay awesome buddies!